Scott Johnson has spent the past 14 years covering Seattle sports, including 11 as a Seahawks beat writer. He's currently covering all Mariners home games for The Sports Xchange while raising two children. Spoiler alert: The film Gleason (trailer here) doesn’t end as it’s supposed to. 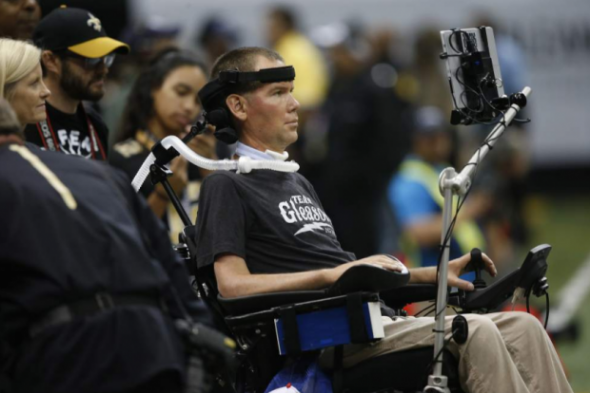 A documentary about the slow, excruciating death of a former NFL player opens nationally Friday, and Steve Gleason is still alive. 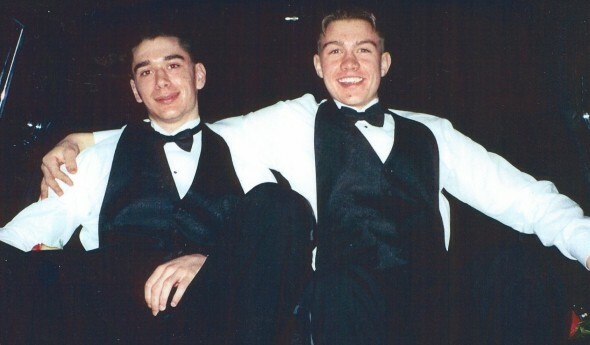 After two hours watching an incredibly intimate, honest account of the former Washington State football player’s battle with ALS, you’ll probably have mixed feelings about his inevitable death. You may find yourself thinking it can’t come soon enough. The current Mike Zunino era is off to a better start than the past one. 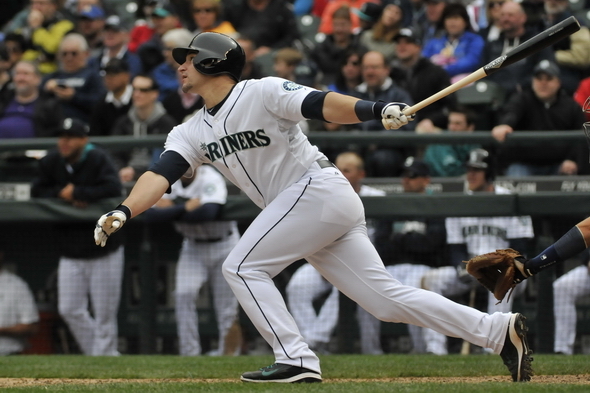 In his first action since being recalled from Triple-A Tacoma, the Mariners' cast-off catcher blasted a two-run homer in his first at-bat Saturday in the second inning. He hadn't been in the bigs since August, when the post-Jack Zduriencik Mariners sent him to Tacoma to work on his swing. It’s not often that a 24th-round draft pick generates much interest, but the Mariners found a way to move the meter when they added a player with a familiar surname Saturday. With the 717th overall pick in the first-year player draft, the Mariners selected a kid named Griffey. Trey Griffey. Ken Griffey Jr.’s son. 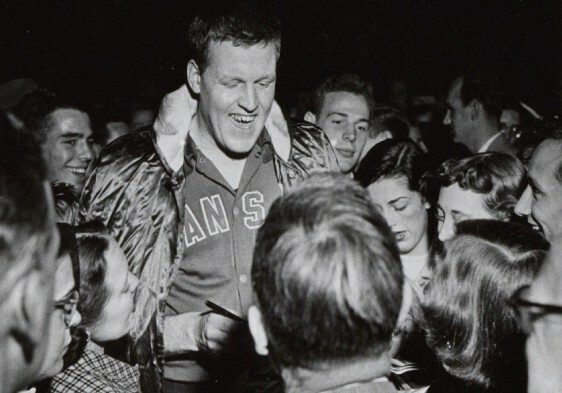 The Kansas Jayhawks arrived in Seattle for the national semifinals of the 1952 NCAA basketball tournament -- 64 years ago this week -- with the kind of greeting typically reserved for kings. Having battled through the first two rounds of the 13-year-old tournament behind the brains of a veteran coach named Phog Allen and the brawn of a 6-foot-9 behemoth named Clyde Lovellette, the Jayhawks were the sudden favorites to win it all. Contrary to his Seattle Mariners, manager Eric Wedge is not going down without a fight as the 2013 season limps along toward Sunday closure. The return of manager Eric Wedge couldn’t provide the jolt the Mariners’ bats needed Friday night, when another solid outing from the King wasn’t enough to beat the Los Angeles Angels. Felix Hernandez allowed three hits over six innings while striking out nine, but the hapless Mariners bats let him down once again in a 2-0 loss. Clean-shaven and well-rested, Eric Wedge leaned forward against the desk of his office looking like a man who regained his balance Friday afternoon. About to partake in the first stressful professional situation he’d experienced in more than a month, the Mariners manager appeared anything but tense. Already down a manager as Eric Wedge continues to recover from a July 22 stroke, the Seattle Mariners can probably cross the name of legendary star Ken Griffey Jr. off the list of possible fill-ins. 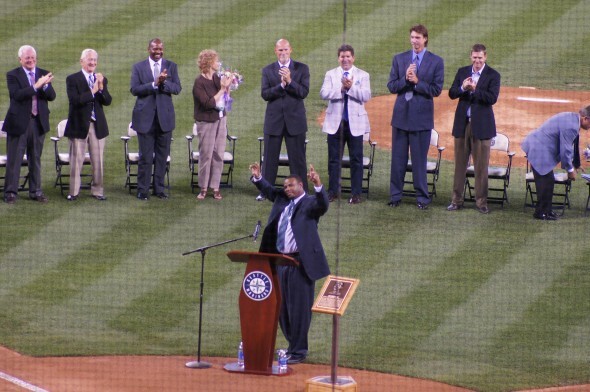 Griffey tried his hand at an inspiring pre-game speech Saturday, telling Mariners players during his Hall of Fame ceremony that they were well on their way to big things. The Mariners then responded with an all-too-familiar performance for this generation of Seattle baseball. The third time was a charm for Ken Griffey Jr.
Having stumbled through his first two good-byes to the city of Seattle, he finally made an exit Saturday night that was memorable for all the right reasons. One of the biggest stars in Seattle sports history was a heroic figure again, and he hit every note with perfect pitch. On the night when he became the seventh member of the Mariners’ Hall of Fame, all else was forgotten. 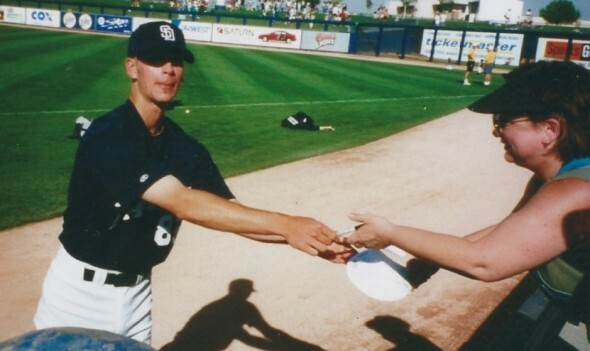 In the late-afternoon swelter of July 29, 2001, minor-league baseball player Gerik Baxter and Mark Hilde, an unsigned recent draft pick who knew Baxter from their days at Edmonds-Woodway High School, climbed into Baxter’s Ford F-350 pickup truck near Phoenix and headed west. Joe Webster knew almost immediately that something was amiss when the phone rang in his living room on a quiet night in late July twelve summers ago. 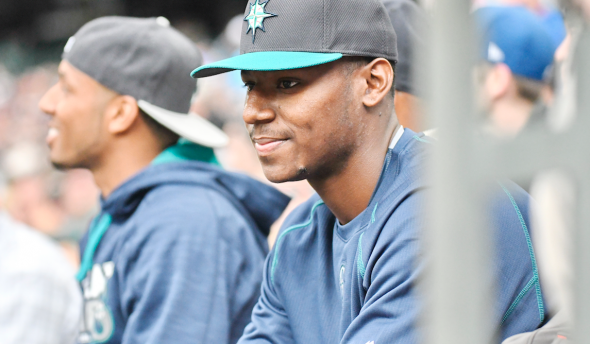 One of his former players on the Edmonds-Woodway High School baseball team was calling. Out of the blue. Late at night. And it was July. Within an hour of his latest attempt to hold down the ninth inning of a tight Seattle Mariners lead, closer Tom Wilhelmsen stormed into the home clubhouse and tried to sum up his Wednesday night performance in a single word. The word was not pretty. But it rhymed. Five years ago, that might have generated excitement in Mariner Nation. Now? Maybe just a collective groan.